Luz Santana, co-director of RQI, has spent 30 years as an advocate for students, parents, schools, and low-income communities. In her capacity as co-director, Luz helped develop the concept of Microdemocracy – the idea that low-income people can begin to participate in their ordinary encounters with public and publicly funded institutions. She is the co-author of Make Just One Change, published by Harvard Education Press in 2011, and Partnering with Parents. Luz has a B.A and M.A. from the Springfield College School of Human Services, and she was chosen as a Community Fellow at M.I.T. Luz is dedicated to finding the simplest ways to make it possible for all people to learn how to think and act more effectively on their own behalf. 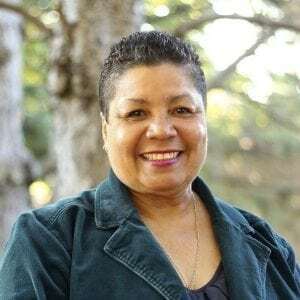 Her work is informed not only by her personal experience as a former welfare recipient, but also by lessons from people all over the country and beyond with whom RQI has worked for the past twenty years. In the course of her work, Santana has traveled the country as a presenter, facilitator, and keynote speaker — in English and Spanish. Within the past year she has spoken at the ASCD Empower Conference, the Los Angeles Unified School District’s 2018 Parent Summit, the Spring CUE 2018 National Conference, and Columbia University, among other engagements.